Prayer works! From the beginning of Church of the King, we have made prayer a priority in the life of this spiritual family. As we move into a new year we believe that God has something for us beyond what we could ever ask for or imagine; but it will require a commitment to seeking God’s face through prayer. Download our "Reach Prayer Points" card below to pray for Church of the King during this exciting time! We will also have hard copies of these cards at the church for the next several weeks. WHY 21 DAYS OF PRAYER AND FASTING? Setting aside time to corporately seek God as a church with fasting and prayer does amazing things in the life of a spiritual family! If you are unsure about what it means to fast, or if you would like more information on the subject of prayer, please check out the resources below. All you early birds can join us during the week at 6:00 AM (Monday through Friday) for a prayer time on Facebook Live. Visit our COTK Facebook page here to be a part! We will also be hosting prayer meetings at our new property each day during the week (Monday through Friday) at noon. You can find us at 1507 Katy Flewellan Rd, Katy, TX 77494. 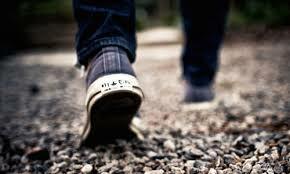 On Saturdays at 8:00 AM we will be doing prayer walks in the surrounding neighborhoods near our new property. We will meet at the church building on January 12th, 19th, and 26th.